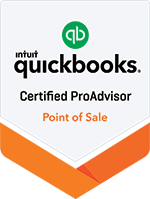 QB Scott | QuickBooks help is here! Improve your efficiency and use QuickBooks® like a pro with these two simple time-savers. These time-savers work with QuickBooks® Pro, Premeir, and Enterprise. I’m Scott Meister and I help small businesses, accountants, bookkeepers, office managers, and business owners with their accounting needs. I’ve used QuickBooks since 2002 and it is my main focus, but I’ve also worked with and trained others in a variety of software packages. Over the years, I came to realize that I really enjoy teaching; sharing knowledge with others with the hope that they learn and use the valuable information. Great Course. I have used QB for sometime but I learned several new things. Excellent course would recommend to anyone using QB. - Lisa A. Short and sweet. Lots of good tips that can be used immediately. I especially like the advice about color coding as I have two businesses and always fear I’m doing work in the wrong account. - Bryant W.
This was a very interesting course. I have taken many online courses, but few have been as easy to follow as this one. I like the way Scott showed each step as he was describing them. I look forward to taking more courses outlined by Scott! - Annette A.
I found Scott easy to follow, well-spoken, and very knowledgeable with Quickbooks. It is imperative to speak clearly when presenting lessons and I think he does so quite well. I was pleased with the speed at which the course flowed, it was rather easy to take notes and learn without feeling lost. I really liked that there are videos to see what he is doing and follow rather than having someone with a powerpoint presentation trying to share without examples. 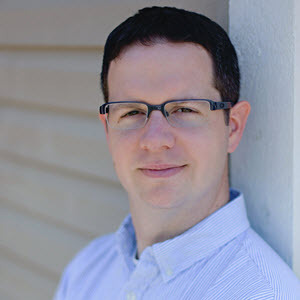 I have a much clearer understanding of MANY things Quickbooks now thanks to Scott. - Julie M.
Scott explains things in detail. While he is explaining the tip, I have my QuickBooks open so that I can try it along with him. This is a great way to learn by example. Thanks Scott. - David L.